Unwind and decompress like nothing else and nowhere else on the planet. 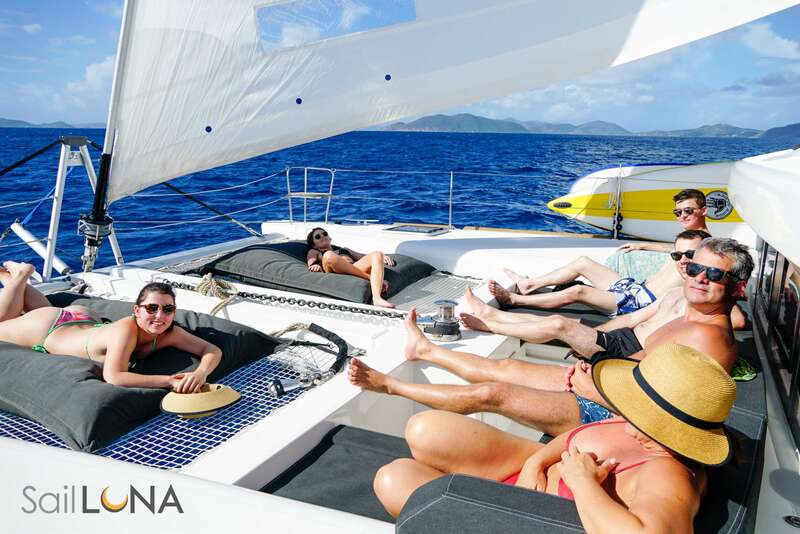 Cast off with us for your exclusive passport to a one-of-a-kind elegant sailing adventure through paradise and the fabulous romantic Caribbean Islands. 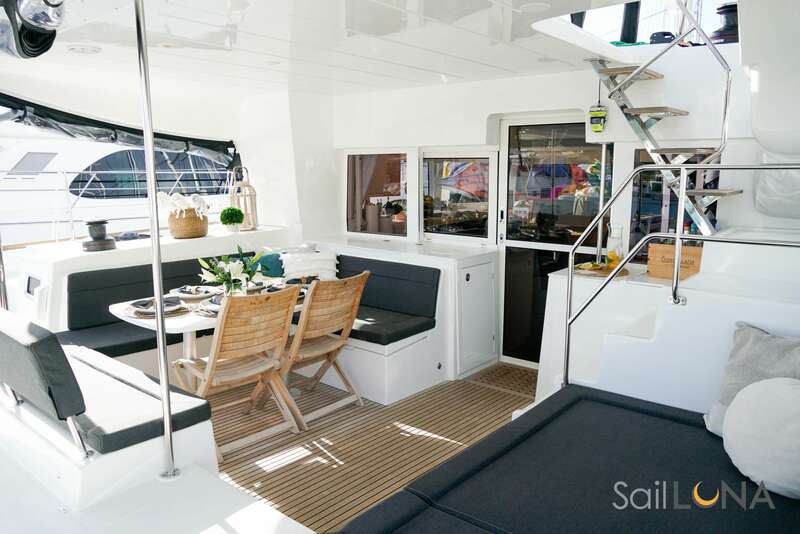 Set sail with made-to-order boutique five-star accommodations on our luxury catamaran. Savor the exceptional dining aboard, prepared with the freshest products available. 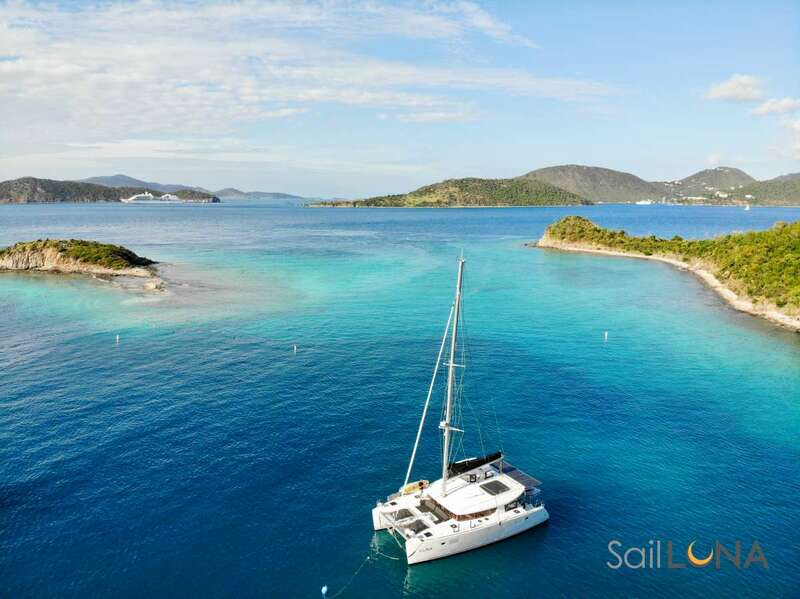 Swim, dive, sail, explore and arouse and delight your senses in places you thought only existed in dreams. This time, it’s yours and it’s very personal — ecstasy at sea custom tailored to your Caribbean fantasies. 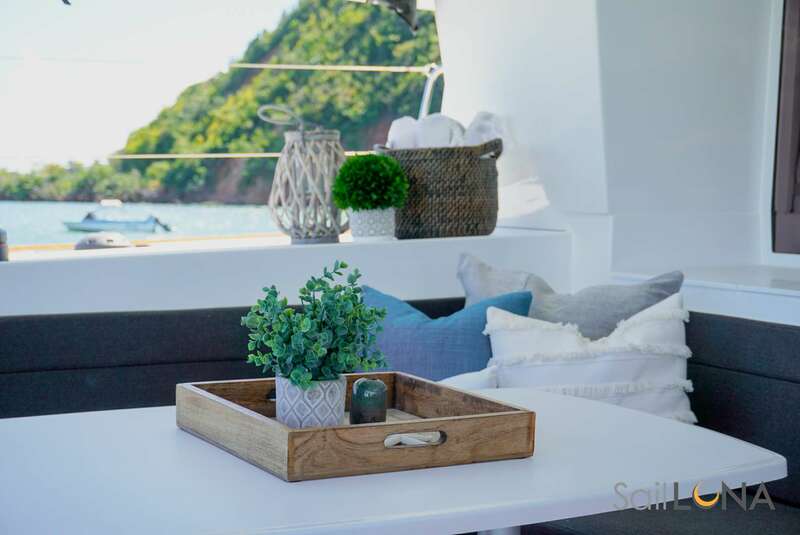 Your hosts are yacht’s owners Nim and Fabiola Hirschhorn— experts in the art of sailing thru the luscious well known, little and barely known pleasures of the Caribbean’s enchanting paradise islands. Chef/First Mate Fabiola is an Island girl with a European heritage. On her way to earning undergraduate and graduate degrees in business, she literally grew up on sailboats, exploring and discovering not just the spectacular tropical locales everyone knows about but also those glorious hidden anchorages, picturesque private beaches and spectacular secret dive spots that few, if any, know. She is a USCG Master Captain. Fabiola’s love of food and creative cuisine began early, raised in a family of amazing cooks, she received as a gift her first cookbook at the age of eight and has had a fascination with delicious food ever since. She has successfully catered high-end parties and corporate events. She also has training in all aspects of food safety and hygiene. Fabiola delights in mixing healthy fresh local ingredients with international dishes learnt from a life well-traveled and experience of other cultures. 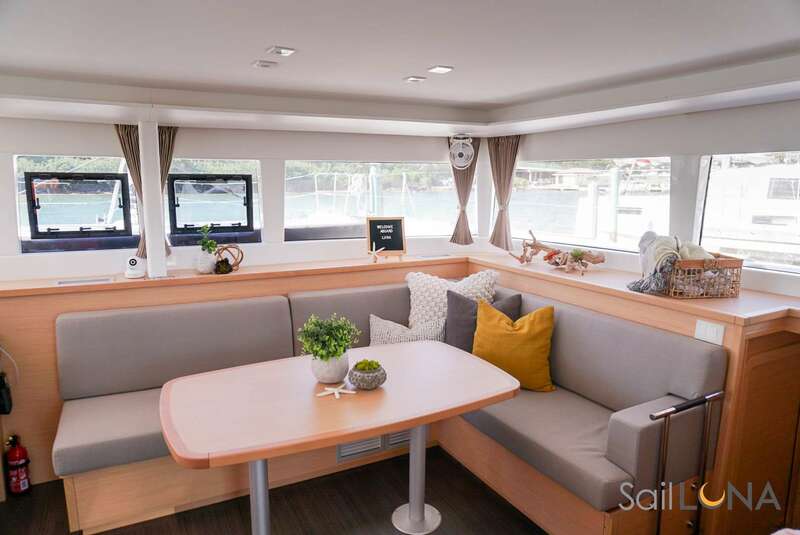 She is an expert at creating the perfect atmosphere for guests onboard Luna. Fabiola is fluent in English and Spanish. Captain Nim is from Israel. He is a USCG Captain, Israeli Offshore Captain, and a PADI Dive Master. He has sailed extensively throughout the Caribbean– the Bahamas, Virgin Islands, Turks and Caicos and several areas of the world’s other great waters- including the Mediterranean, Aegean, Adriatic, and the Andaman Sea, through the Suez Canal and across the Atlantic Ocean from Europe to the U.S.
Nim is a former information technology executive and Israeli Air Force combat veteran. He began sailing the Mediterranean at age 12, became certified in open water scuba diving while a teenager and dive master not long afterward. 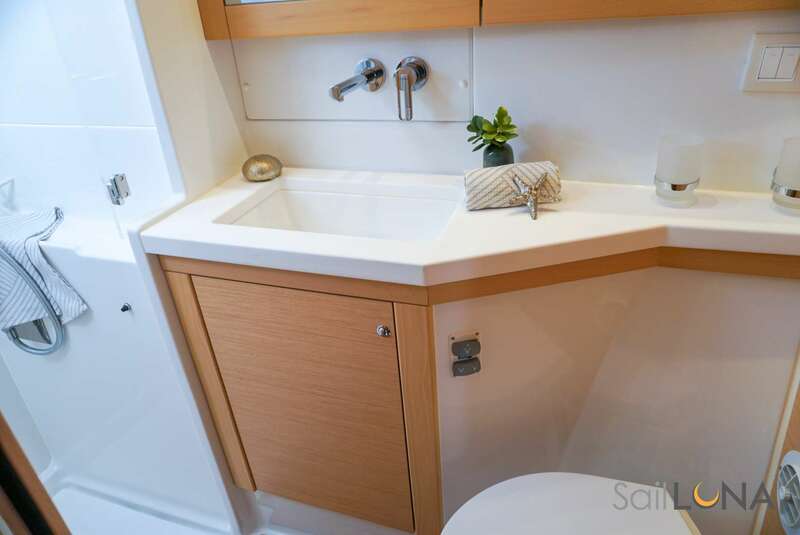 His love of sailing, tales of local lore, and genuine hospitality will make your vacation safe, fun, and entertaining. 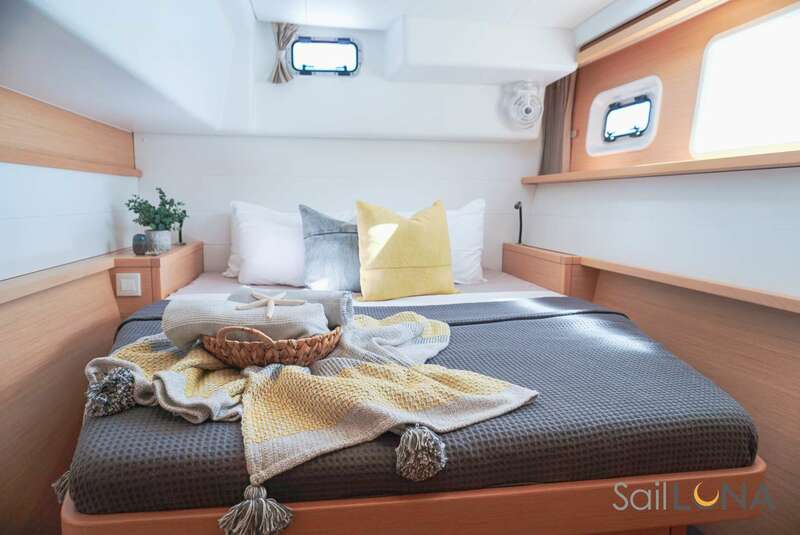 Capitan Nim loves to share his knowledge of sailing, the lesser known anchorages, private coves and secluded beaches and the unbelievable marine life below the surface. He will take you to visit and explore all the unique locations the Caribbean has to offer. He is fluent in Hebrew and English and can nod and understand more Spanish than he’ll admit to. 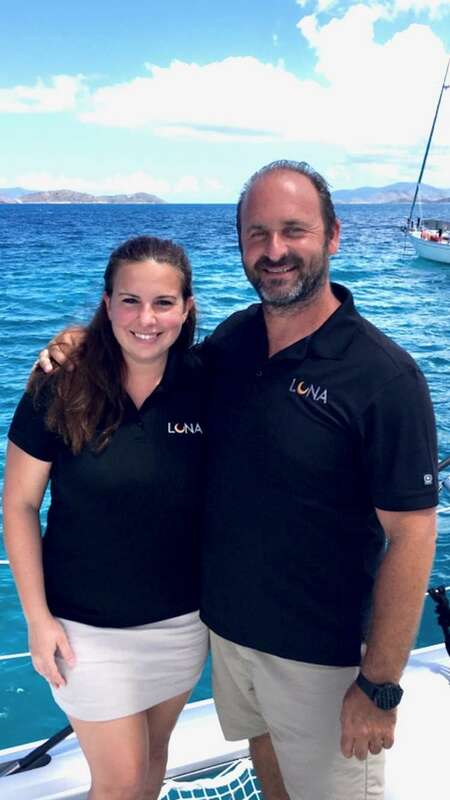 Together, they recently bought Luna, a Lagoon 450S and they are ready to host you in the adventure of your lifetime!